Have you ever wondered how to get new clients? One of the most common question students ask me towards the end of their practitioner course is “How do I find clients?” It can be indeed quite scary once you’ve graduated to start from scratch in building your practice. Where and how do you advertise? How do you find your clients? I’ve been in that position at my beginnings, only seeing at the best one client a week and wondering how on earth I would make a living out of it. 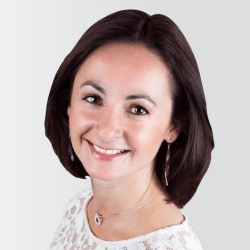 I’ve tried advertising in different magazines and professional listing, networking at 6am, giving out leaflets to angry commuters at the entrance of the tube…It’s been a hard journey – but an invaluable one as I’ve learnt a lot about this industry. The hard work and the perseverance paid off indeed, as today I have a full time practice with on average a 3 weeks waiting list. And often, I have to turn down clients because I’m too busy. And what I’ve discovered over the years is that the best advertising tools are word of mouth and referrals. I know that as a client myself, I would feel most confident about seeing a practitioner when they’ve been personally recommended by a friend. Wouldn’t you? But when you start from scratch, where do you find your first clients, the ones who are going to talk to their friends about you and help you develop your clientele? One of the thing I’m passionate about is creating and being part of a community of like-minded people and practitioners who follow the same principles and ethics ; who take the time to create a working relationship with their clients and are able to stay client-centred whilst offering quick-acting effective tools ; who are confident enough to experiment with the processes they’ve learnt and create tailor made exercises that will serve best their clients. 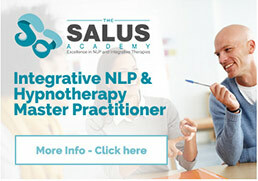 So as a result I’ve decided to create a referral scheme, here at Salus Academy. I’ve decided to give my students a unique opportunity when they train at Salus Academy – an opportunity to build their business once they’ve graduated. Our top students receive referrals from us on a regular basis once they’ve consolidated their skills. That allows them to kickstart building their practice whilst in the meantime helping us grow that community of excellent and ethical therapists. If you would like to become an NLP practitioner and Hypnotherapist, I would love for you to be part of our community and help us spread the Person-centred integrative approach and help more people make amazing changes in their lives. If that speaks to you, feel free to attend one of our free discovery evening, where we discuss together the industry, practicalities of working as a therapist and many more topics!